Legacy giving is a way to leave a meaningful legacy to Project Angel Heart and to ensure the ongoing viability of our organization. A legacy gift shows your belief in the mission of Project Angel Heart and your desire to accomplish something special in the lives of those battling life-threatening illness. 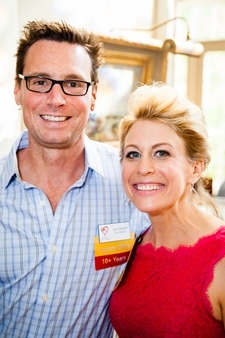 The Legacy Circle honors those who have remembered Project Angel Heart in their estate plans. These gifts help ensure that people facing life-threatening illness will have access to nutritious meals for years to come, and can also help Project Angel Heart accomplish long-term organizational goals. For instance, legacy gifts helped us pay off the facility loan for our Denver kitchen & office in 2017, which means the money saved in interest payments will be dedicated to providing more meals to neighbors in need! There are a number of planned gift options, most of which offer considerable tax benefits. Estates both large and small can benefit from planned giving and make a significant impact on Project Angel Heart. Please consult with your professional advisor to determine if an estate gift is right for you. Your advisors can help you explore the possibilities and identify ways to maximize the financial and tax benefits of an estate gift. Project Angel Heart also offers free information to help you explore these options further. Joining the Legacy Circle is as easy as completing, signing, and returning this commitment form. Contact Jennifer Lackey at 303.407.9418 or jlackey@projectangelheart.org with questions or for more information.